Woodside School’s Toddler Program provides quality, developmentally appropriate early learning and care for children 18-36 months old. 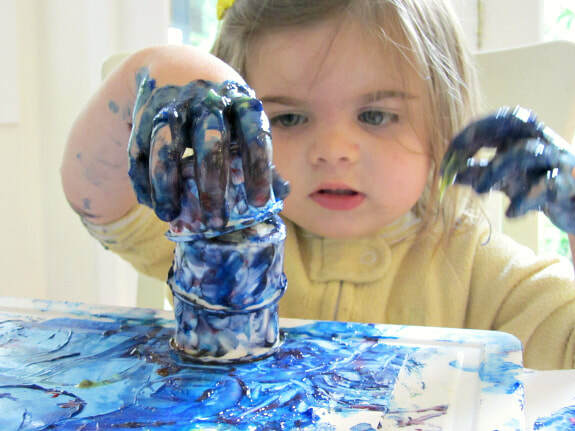 The toddler curriculum centers on helping children grow and develop while having fun. We focus on the things toddlers are most eager to explore. Toddlers learn about themselves and their feelings, about others, communication, movement, activity, and developing thinking skills. Our teachers help learning flourish by building strong bonds with children and their families. We select toys and materials and arrange the environment to enhance the learning environment. The Woodside Toddler schedule is Monday-Friday 7:00-5:30 and offer the choices of M-F, MWF, or T-TH full or half days. Woodside School’s half days are 7:30-12:30, or 12:30-5:30.